When I first started my marketing career back in 2006, the digital space was not as it is today. Marketers still followed the guiding principles of the 4p’s (and later on the 7p’s). Communications were in print and networking was the only way to discover new business opportunities. Whilst digital may dominate many marketing strategies these days, I advise you never ditch the traditional methods. Instead, focus on achieving the right marketing mix. You can read any of my previous blogs and the advice always remains the same, you need to go where your audience are. You can read more about this in one of my previous blog posts. 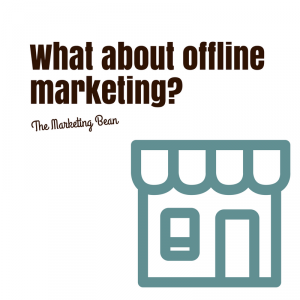 However, if you are looking for a little inspiration, here are my favourite offline marketing tactics. Have you ever heard the saying “people buy from people”? I believe there is some truth to this. Events provide the perfect opportunity for us to meet with, and engage with prospective customers face-to-face. There will be some small businesses who simply cannot afford to exhibit, however this does not stop you attending events, scoping the market and participating in conversations. For those of you operating in a business to consumer market; think outside the box a little. Are there any local public events, festivals, or family days where stalls may be allowed? Sometimes organisers will charge very little to ensure they pull a good crowd. I would suggest you spend a little bit of time doing some research, create an events planner and decide where your time is best spent. Check out your local Chamber of Commerce and other small business groups, contact your council and speak to other local business owners. Letters, postcards and flyers – direct mail still has a place in this world. There has been a considerable drop in the amount of businesses using this type of marketing, mainly due to cost. However, this method allows you to target very precise geographical locations or demographics and is very effective at getting results if the copy is well written and highly targeted. When considering a direct mail campaign, think about providing the recipient with an incentive to purchase and a reason to hold onto the communication. You could offer money-off, freebies, voucher codes or promote an event. Always make sure your communication has a purpose. The most costly part of your direct mail campaign might come from the design work, but this is important! There is nothing worse than receiving something which has been created in Paint or Word. Make sure your graphic designer fully understands what you wish to communicate and who the target audience are. Even with everything online these days, who doesn’t love to read a magazine or paper? Whether your business is led by geography, sector, product or service – you will always find a relevant publication and you need to get on the right side of the Editor. Journalists love a good story, and storytelling should be right at the heart of your business; what inspiring and thought provoking story do you want to tell? Have some ideas at hand and put some bullet points together to discuss with them. A good starting point might be the story of your business and your successes to date – consider what makes you different. Many businesses choose to advertise with the publication too, if you decide to do this always negotiate the equivalent advert size for free (just for copy). Always opt for a bottom right hand page, and make sure you are not surrounded by competitors. Consider running an event for your customers, for example if you make jewellery, consider running local workshops for your customers – show them how to do the basics (and demonstrate how difficult it is!). If you sell cars, run an ‘Open Day’ with incentives for customers. If you run independent exercise classes, hold some free events – you get the idea! Consider teaming-up with other local businesses who offer complimentary services, this can help lower the cost considerably and give customers an extra reason to attend. What else can I consider? Think about printed brochures and case studies, branded merchandise, screen advertising in doctors/takeaways/local shops, noticeboards, billboards, posters…the list goes on. Your marketing should be consistent across any of the platforms you use. If you are running a campaign offline, always make sure it is reflected online too! Consistency is key. Draw-up your marketing plan and don’t be afraid to use a good mix of tactics – both online and offline. 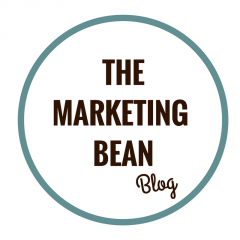 Author The Marketing BeanPosted on April 25, 2017 August 13, 2018 Categories Offline Marketing3 Comments on What about offline marketing?